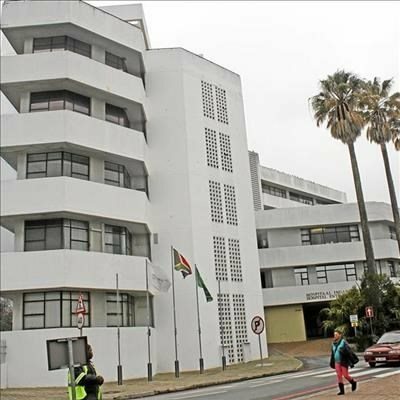 GEORGE NEWS - Both the George Municipality and a private developer are looking to rezone pieces of land for the purposes of a regional hospital facility. The George town planning department will be inviting public tenders for the development of a hospital on the property currently let to the Glenwood short golf course early in 2019. Council recently approved a recommendation that the land be put up for sale on public tender at an upset price of R8-million. The 6,4 hectare property has to be rezoned and subdivided from the site of the George riding club, according to a report tabled in Council. "The terms of reference for the tender are currently being finalised and the tender is expected to be advertised early in the new year. Should everything go according to plan, the process should be completed towards the middle of 2019," said acting director of the department, Charles Lubbe. He told George Herald that no formal requests from private hospital groups have been received, but "there have been queries". Mediclinic George is still looking for suitable land for a new hospital to keep up with a growing demand. The municipality rejected an application to develop a new Mediclinic on the sawmill site next to the Outeniqua Family Market in Kraaibosch, and also dismissed the developers' appeal. The same developers are applying to the municipality to be allowed to incorporate a new facility for the Mediclinic into its already approved Kraaibosch Ridge development. In the meantime, they are awaiting the outcome of a legal review of the rejected sawmill site tender, according to Arno de Vos, one of the developers. "The municipality has extended the case twice." Mediclinic George manager Kassie Karstens declined to comment. When the 15-year lease of the Glenwood golf course lapsed in 2015, the municipality did not renew it, but allowed the owner, Ian Gibbon, to continue renting on a month-to-month basis. According to the above-mentioned report, provision should be made for an alternative site for the course on the remainder of the property. The report says the course plays a role in the integration of communities in George. Its repositioning will ensure it is properly incorporated into the envisaged integrated open space system of the city. At the moment, the city does not offer enough open spaces. Mediclinic George application was "only for Hospital"